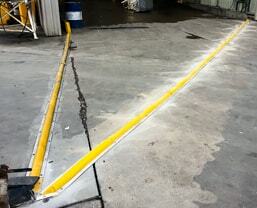 For more than 40 years, SpillPro has supplied end-to-end spill control solutions. And parts cleaning machines. And hydrocarbon management solutions. In that time, we've built a long list of clients from a diverse range of Australian industrial sectors. We've helped them avoid and manage oil, fuel and chemical spills. We've supplied them with reliable parts cleaning machines and safety and cleaning products. And we proudly continue to serve many of them as part of decades-long partnerships. That's all thanks to our knowledge of the unique industry-related challenges each one of them faces. And it's thanks to the single point of contact we provide for all of our clients' needs. SpillPro's mining clients include well-known companies like Rio Tinto, BHP Billiton, Hitachi, Remondis, Exxon Mobil and Port Waratah Coal Services. That's because we supply reliable spill control and clean-up solutions for mining. Because our solutions span vehicle wash bays, workshops, bulk fuel stores and retention dams. 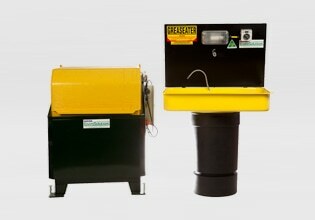 And because we provide customised products like parts cleaning machines - built to mine specifications. SpillPro's defence industry expertise spans more than 30 years. In that time, we've built a reputation for supplying defence agencies and contractors with containment booms for oil spills. But we've also carved out a niche as experts in defence-spec incinerators. 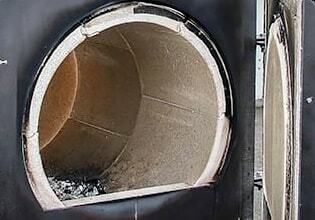 In fact, we're the exclusive supplier of medical waste incinerators for the Australian Defence Force. SpillPro has helped shipping companies manage unique industry challenges. Like avoiding and managing spills in environmentally sensitive areas like the Great Barrier Reef. That's why our shipping clients include so many well-known names. Like Oil Search, Newcastle Port Corporation, Western Australia Transport, Total Oil, AMOSC, Port Waratah Coal Services and NCIG. Road and rail play important roles in transporting Australia’s diverse volume of freight. And SpillPro has the spill management solutions to keep the industry running like a well-oiled machine. That's why we count Crawfords, Daracon, Aurizon, Pacific National, Toll, Wyee Transport as clients. For 15 years, the marine industry has looked to SpillPro for market-leading spill products and services. 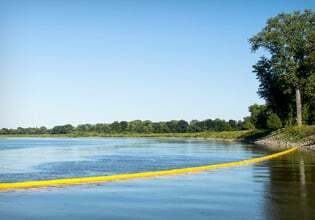 From early spill detection systems to quick-deploy inflatable booms. We supply end-to-end compliance-assured solutions for Australia's sensitive – and fiercely protected – coastal areas. SpillPro can assess potential on-site spill hazards in industrial operations – and help you mitigate risk. Plus we can supply everything your site needs to confidently deal with spills. We're also experts in parts cleaning machines and a wealth of workshop products and services. It's why our industrial client list includes Rio Tinto, BHP Billiton, Hitachi, Remondis, Port Waratah Coal Services, Woolworths, Sanitarium, Joy Global and Bradstreet Group. SpillPro's highly trained staff are experts in bespoke water filtration solutions for hospitals. But they're also able to provide cost-effective solutions for medical waste disposal. Like our medical grade incinerators. They're ideal for remote clinical operations – just ask the Defence Material Organisation, Port Macquarie Private Hospital, John Hunter Hospital, or the Australian Defence Forces. The oil industry. 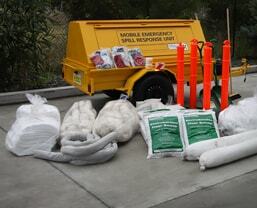 When it comes to providing it with spill solutions, we're Australia's leading professionals. The clue's in the name. And the same goes for the gas industry. It's because we have the country's widest range of end-to-end spill solutions. That's why we can proudly call Oil Search, Newcastle Port Corporation and Exxon Mobil long-term customers. Workshops come in all shapes and sizes. From small automotive repair centres to heavy industry sheds. So we provide whatever parts cleaning or spill control solutions your particular workshop needs. 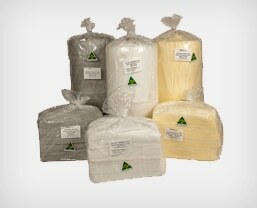 From basic spill kits to full site audits. It's why Port Waratah Coal Services, Woolworths and Sanitarium trust us to supply solutions for their workshops. Newcastle Council. Hunter Water. Macquarie Generation. They provide thousands with water. And we help them keep oil out of it. SpillPro provides a range of hydrocarbon management solutions for government, councils, and utilities - from water treatment equipment to site certification.